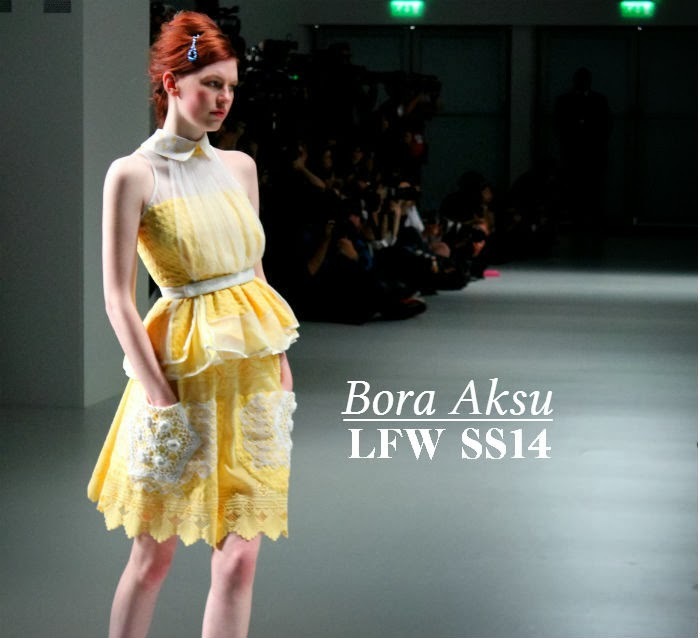 Bora Aksu was given the privilege of opening London Fashion Week SS14 with the 9am scheduling in the Somerset House show space. Normally, super early show times can lead to empty seats (fashion bodies aren’t know for being early risers…) but the Bora Aksu show was packed – indicative of the dedicated following the London-based Turkish designer has inspired. 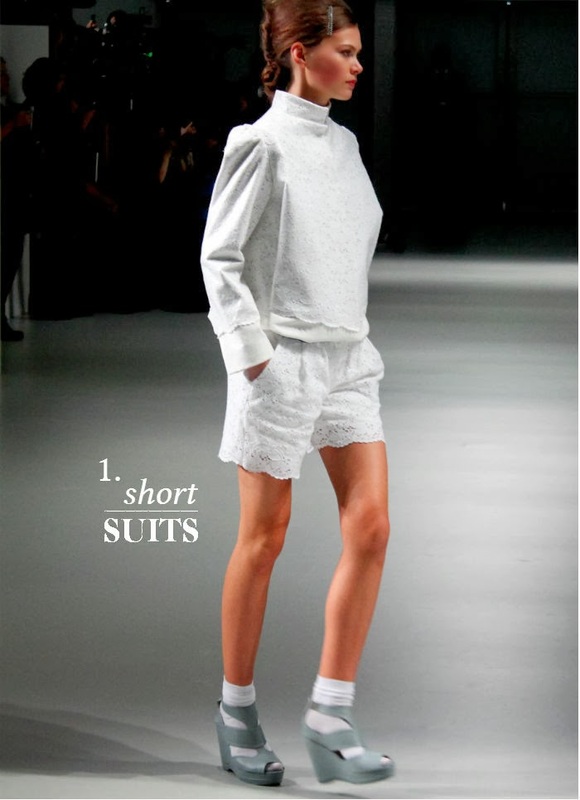 In comparison to last season’s laced-up and leather-laden corsetry heavy collection, the SS14 show couldn’t have been more different – Bora Aksu presented a prim and proper girlish vision, complete with frills, fripperies and virginal white ankle socks. Imagine if Bo-peep had been dressed by a great couturier and you have the makings of the Bora Aksu SS14 collection– a milk maid muse, albeit it an incredibly chic one. 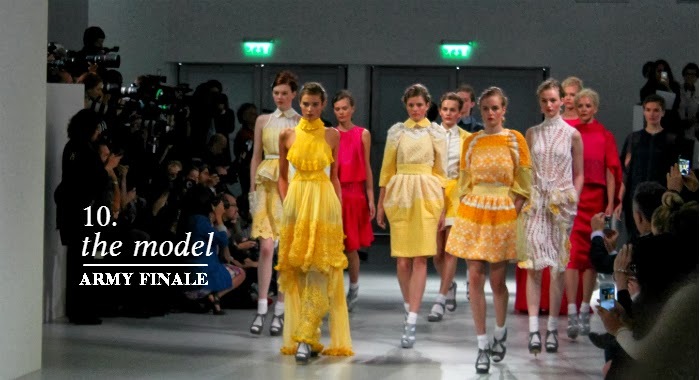 The colour palette was delectable –crisp ice whites opened the show, followed by cornflower blues and navy interjected by vibrant fuschia and bold buttercup yellows – each shade yummier that it’s predecessor. 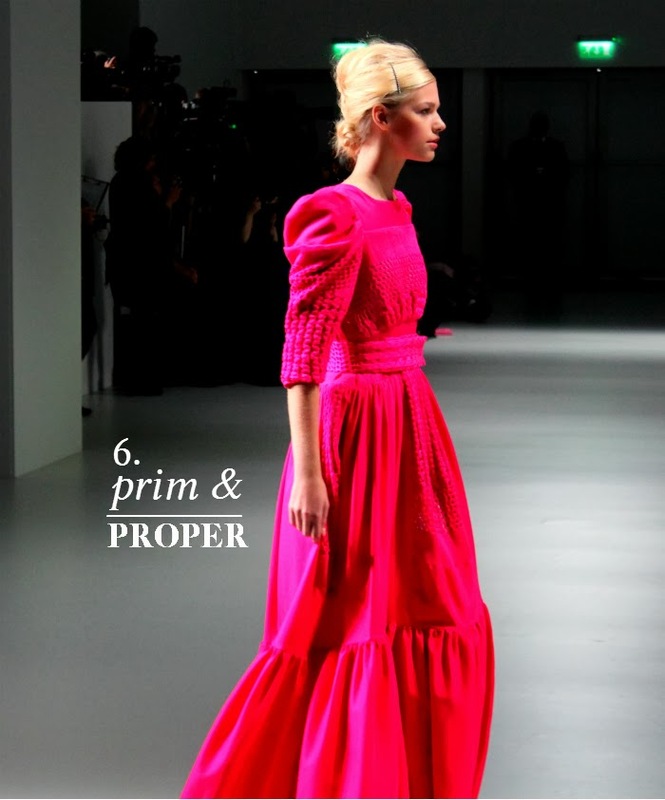 Bora Aksu is known for his ethereal, fantastical fashions and whilst the SS14 collection maintained this vibe, the clothes were pleasingly wearable – the colour-blocked short suits appeared as practical as they did beautiful. 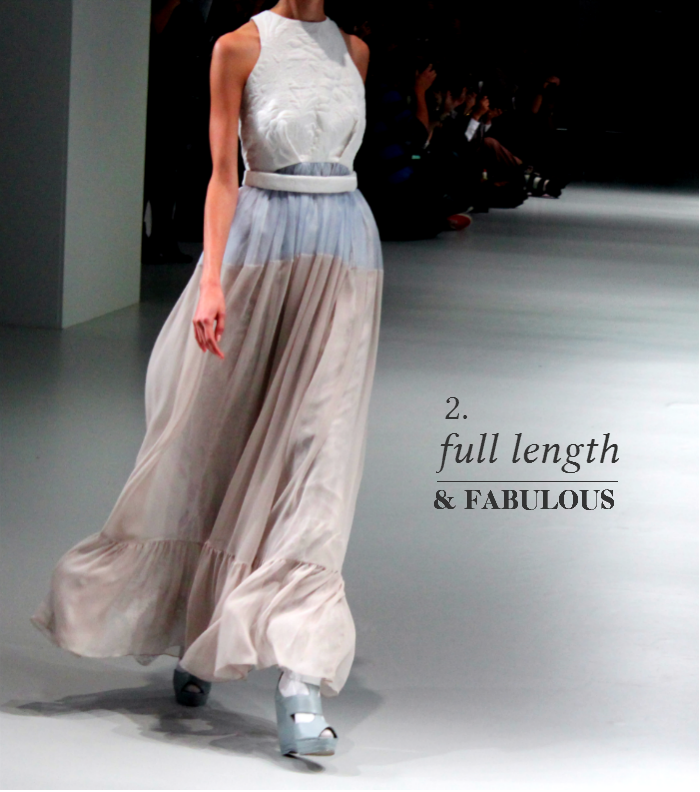 Red carpet worthy full-length gowns proved to be the show stealers – the high-neck, tiered macramé detail yellow number that closed the show was a grown-up and gorgeous affair - wrapping up another great season for Aksu.